I don’t know about you, but my own personal and my family’s dental health is one of those things that I’m concerned about but I don’t have a great track record of DOING much about. I mean, I brush and floss my teeth and use mouthwash daily. My kids are old enough to take care of their own teeth-cleaning routines (which is sometimes a scary, scary thought). We take care of the basics, but I know that we could all do better in the dental health department, so when I was challenged to participate in the 30-Day Family Floss Challenge this January, I eagerly agreed. What better way to start the New Year off? Before my family headed down to Florida for the holidays, I stopped by Walmart for some stocking stuffers, trip necessities, and other supplies. It’s been a tradition for years to include a new toothbrush in each family member’s stocking (my married daughter says that her husband thinks that my inclusion of a toothbrush with all of the Christmas candy is humorous). This year, I not only stocked up on new toothbrushes, but on DenTek® floss picks as well. 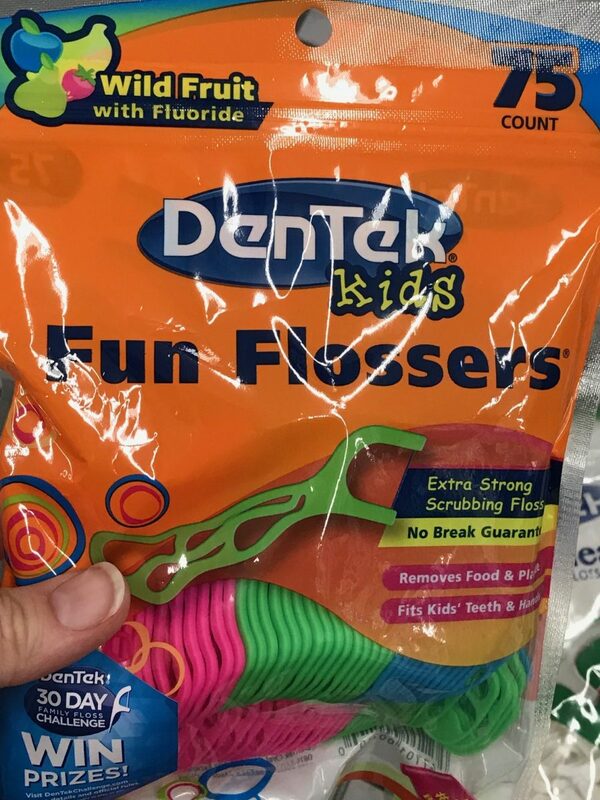 You can find DenTek® floss picks in Walmart’s Kids and Adult oral care sections at Walmart’s everyday low prices. 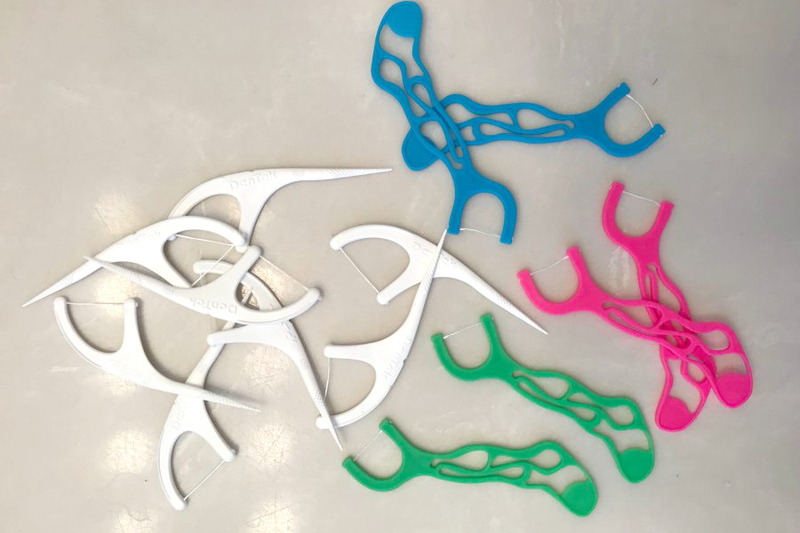 My daughters and I have been using floss picks for years, but like any other personal care routine, it’s easy to get out of the habit, and it can be even harder to start and stick with a new habit (thinking of those family members who haven’t used flossers regularly before). 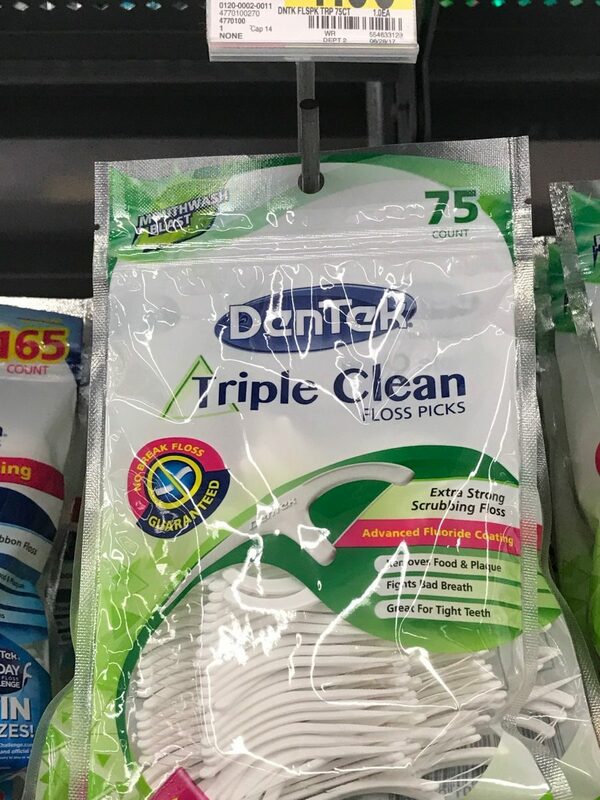 DenTek® Floss Picks make flossing my teeth so much easier than typical floss, and I admit it’s something I look forward to now instead of dreading or just feeling guilty about. Do you have family members like mine who need to get in the habit of flossing their teeth? 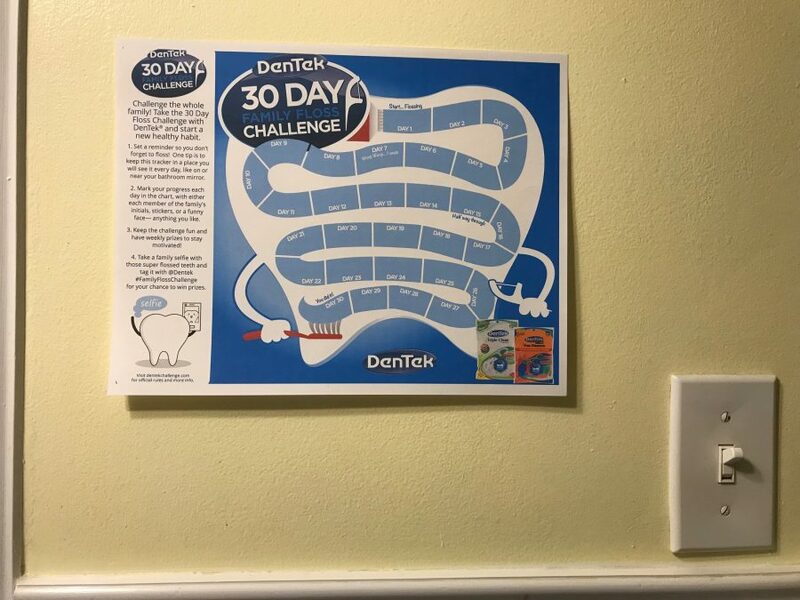 DenTek® is making it easier than ever to get in the habit of flossing regularly with their 30-Day Family Floss Challenge. The steps are not only easy, but fun! Download the 30-Day Family Floss Challenge Calendar – The challenge goes through March 31, but you can start any day! Simply pick a day, and start recording your progress. Take a selfie with those super flossed teeth and post your pic to Instagram, Twitter, or Facebook. Tag your pic with @DenTek and hashtag #FamilyFlossChallenge. Win Prizes! *No purchase necessary to participate or win. Visit dentekchallenge.com for official rules and more info. We’ve printed off our calendar and posted it in the upstairs bathroom where most of us brush our teeth. We thought it was important to keep our tracker in a place where everyone could see it, and where the calendar itself would serve as a reminder to floss each day. Every day, each family member is going to leave their own “mark” when they floss (you can decide what works best for your family….placing a sticker, writing initials down, assigning a symbol to each family member, etc). Then, weekly, we’ll have our own personal incentives for family members that meet the challenge (this is totally optional, but a fun way to customize the challenge and motivate your own family members even more). Is your family ready to Join the 30 Day DenTek® Family Floss Challenge? Let me know if you have any tips or if you learn anything along the way. Good luck!